More complicated knitting patterns often include charts, and to the inexperienced, these can be daunting to understand. Even if you have experience with charts from cross-stitch or needle-point, understanding knitting charts can be a confusing experience. But once you learn the basics and the assumptions that knitting pattern authors include, you'll be knitting more beautiful patterns more easily. Reading the chart.. where to start? It may not seem intuitive, but you start reading a knitting chart in the bottom, right hand corner. 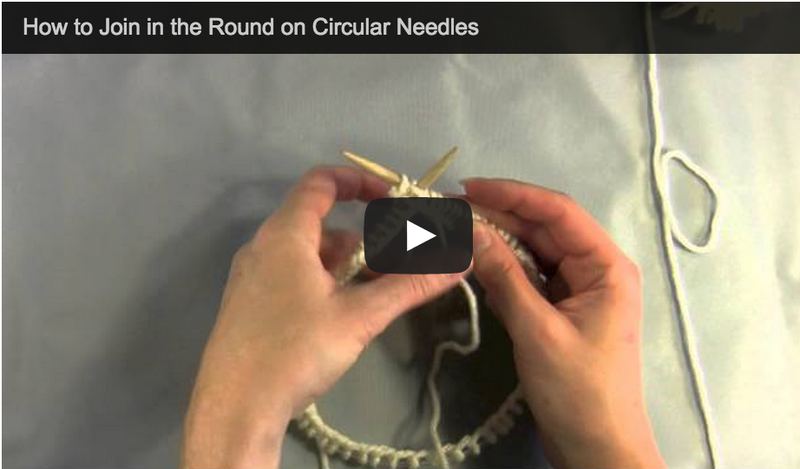 Often the chart will have a number 1 here, indicating row/round 1, where the knitting begins. Read the first row from right to left. If your chart is describing a pattern written in rows, you will read row 2 from left to right, row 3 from right to left, and so on and so forth. Your chart *may* be numbered every other row for this reason. Note that for charts describing a row pattern, the legend may indicate what you do on both the right and wrong sides (RS vs WS). Be sure to pay attention to this when working the WS rows. Example instruction: K on the RS, P on the WS. 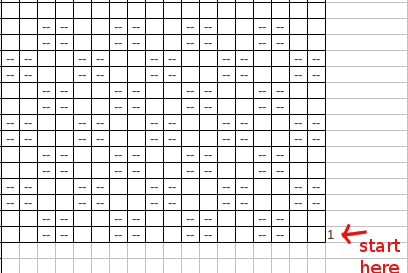 If your chart is describing a pattern written in rounds, you will read EVERY row from right to left. Hopefully your pattern is numbered with all of the numbers on the right hand side, but it may not be. While the chart itself may not have errors, since it is easier to see the pattern in symmetrical charts and less likely to contain mistakes, BEWARE! The mistakes may be looming in the key/legend of the chart. Make sure that the number of stitches a symbol corresponds to in the chart is the same as the description. Watch out for duplicate or rearranged descriptions of stitches in the legends. The most basic and common knitting pattern chart is one that describes the pattern in chart form. This type of chart has a bunch of symbols on it, which translate into particular stitches. Lace and cable patterns are the most common form of these charts. The key for this chart will indicate which stitches each symbol translates to. Greyed out squares in the chart indicate no stitch, these appear because of decreases (or sometimes increases) in the pattern. The chart may not be a perfect rectangle. If it has staircase edges, that also indicates increases (or decreases). Another common chart is a color chart. 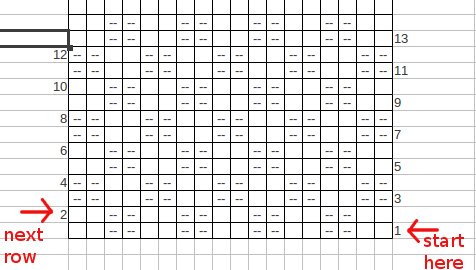 This is used for fair-isle (or stranded) knitting charts, as well as intarsia charts. The squares in this chart are color coded, rather than symbol coded. Usually all the stitches in a pattern like this are knit or Stockinette Stitch. A more complicated version of a color chart is used for double knitting. This will indicate one color for the RS and a different color for the WS.